Well, it was bound to happen sooner or later. After four long years of being hip deep in the whole craft beer scene... I've burned out. In the last few days I've resigned all of my duties as the Mad Man of Beer (i.e., Beer Tap TV, Lower Front Range columnist for the Rocky Mountain Brewing News, Colorado Springs Beer Examiner, this blog, etc. and so on) and will be going on a very long hiatus. Might be permanent, might not. Who knows. 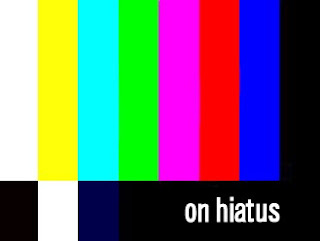 It's been fun... now it's not, and when something stops being fun you know it's time to move on. Eli - brother, we'll miss you for sure. You're doing the right thing by taking a step back and getting back to enjoying it. Once it becomes a grind it stops being fun, and that's completely the opposite of what beer should be. Cheers man, we'll see you soon enough! 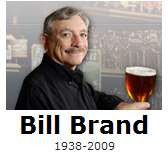 Well I sure hope this isn't the last that we have seen of you but thank you for all that you have done in the craft beer community. I wish you luck in what ever you have planned next. Here's hopin you find greener pastures. 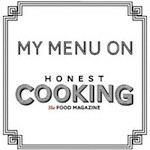 You will be missed over at Honest Cooking - and we sincerely hope you'll be back after some very well deserved time off. We'll miss you Eli. Go enjoy your time away. We'll be waiting whenever you decide to return. Take care Mad Man. 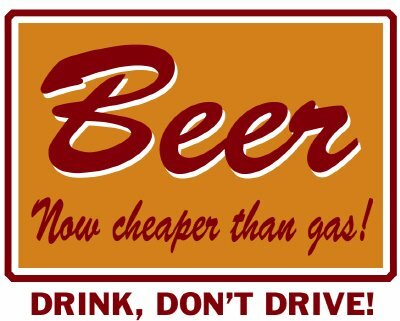 Beer is the elixir of the gods. A refreshing beverage made of hops, barley and a pantheon of other delicacies that when looked at properly - through beer goggles perhaps, has quite literally changed the entire course of human history. Confession is good for the soul... along with a good beer or two. Come join me in the confessional, won't you? Since 2007 Eli Shayotovich has been writing about the craft beer world for various online and print publications. 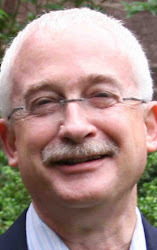 Besides writing this beer blog, he serves as the Colorado Springs Beer Examiner, writes the "Lower Front Range" column for the Rocky Mountain Brewing News and is the VP of Content & Programming for Beer Tap TV. Needless to say, when he's not imbibing great craft beer, he's writing or talking about it somewhere. Get yourself armed for beer-fu! You know I'm not a shill. So if I endorse a product it's because I've personally tried it out and know that it works. Like all things, results may vary, but I can tell you that Drinkwel works great for me! Formulated by a Ph.D in Biomedical Science and a Doctor of Naturopathic Medicine, this 30-ingredient multivitamin is full of stuff that combats dehydration and replenishes nutrients, supports healthy liver function, and helps process the toxins associated with drinking alcohol. If you've been looking for something that really does get rid of that awful hangover... Drinkwel is what you've been searching for! Give it a try and see if you don't feel fantastic after a night of chugging kegs of good brew. Cheers! Mad Beer Man Tested! Mad Beer Man APPROVED! 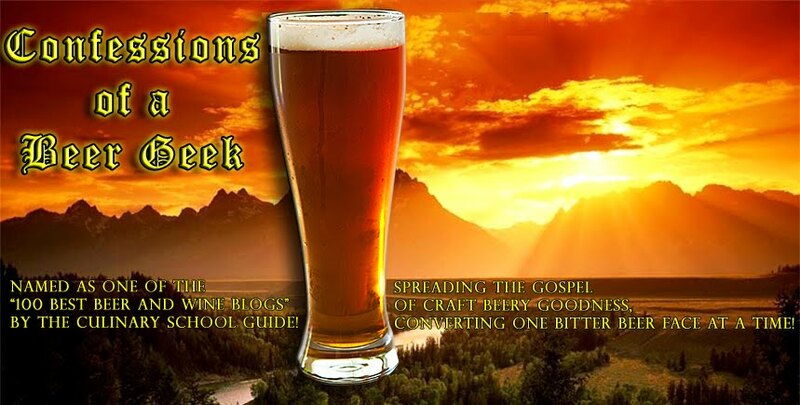 A three sheets of beery goodness roundup spectacular! Help pick the official 2009 Great American Beer Festival poster! What beer should you drink? Don't miss a single confession! Won't you be my Beer Bud? Do you know your PSA? AOL Food has a cool batch of trivia questions All About Beer! Go check it out here , then come on back and report your test results! Grand cru (French for "special vintage) is what brewers consider their best beer. Aged and usually high in alcohol, it is traditionally served at special events. Chouffe Dobbelin is brewed in the heart of the Ardennes mountains. Legend has it that gnomes (aka "chouffes") once brewed up their own version of artisan beer ales in the same region. 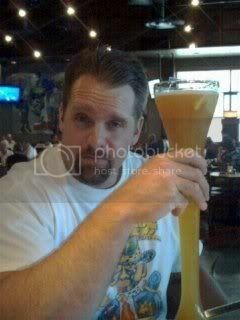 In St. Louis it is illegal to sit on the curb of any city street and drink beer from a bucket. Now that InBev has taken over, it's also apparently illegal to have a salaried job in St. Louis. So... was this really such a problem for St. Louis back in the day that they had to make an actual law banning it? Wow. 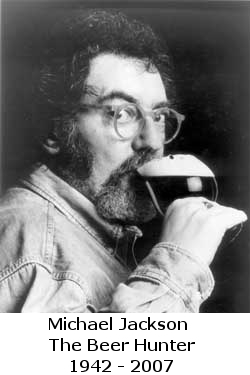 *For more info on this topic, see famed beer historian, Bob Skilnik's website, Beer(& More) In Food. The Lost Abbey in San Marcos, California, has many inspired beers for saints and sinners alike. If you haven't had any of their beers... find some! If there's one thing I like almost as much as beer, it's a good Bloody Mary. Which usually goes hand in hand the morning after drinking beer. Or days that end in "y." With that... this lil segment will host the best of the best recipes for that favorite hangover elixir. At the Blind Tiger Alehouse you can get Louise's Famous Bloody Beer, which is the bar's version of a Bloody Mary. Instead of vodka, Louise's uses a strong ale, plus tomato juice and secret spices. It is garnished with celery, olives, pickles and other treats. The Mark Bar serves a mean Michelada. The cocktail is similar to a Bloody Mary, but it's made with Mexican beer instead of Russian Vodka. Mix all ingredients, except vodka, together. Then blend two ounces of vodka with six ounces of the mix and pour into an 8-ounce glass. This recipe should render about 20 servings. Garnish each with a lemon wedge and a spear with okra and olive. This is the coolest freakin' thing since the Summerians invented fermentation! 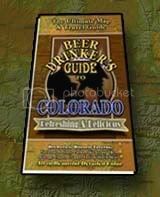 Order your portable Beer Drinker's Guide Map NOW! 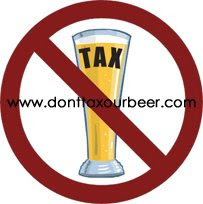 Get Your Beer Online Here! CNYBrew.com - these guys are crazy! Marinade: Combine ingredients above (except the meat) blender and puree until smooth. Pour mixture over skirt steak and let marinate minimum 4 hours, preferably overnight. Light grill to medium heat. Dry steak and season with salt and pepper. Grill to medium rare. Set aside and slice across grain. To Assemble: Heat tortilla for 30 seconds on grill. Top with cheese, guacamole, steak, onions and cilantro. Serve with lime. Want to learn more about cooking with Samuel Adams beers and Food & Beer pairings? Head to www.samueladams.com and go to "Food & Beer" and start exploring. Slice English muffins in half. Scoop out ½ of the bread on the bottom portion. Fill with two oz ground beef that has been tossed with Samuel Adams Boston Lager. Place on sheet pan upside down (on meat side) to brown meat for 3 minutes in a 350 degree oven. Remove from oven and top meat with cheese and thinly sliced pickles and top of English muffin. Heat in oven for 5 minutes at 350 degrees. Remove from heat and skewer with tomato. Serve immediately. Preparation: In a large skillet, brown meat. Add Broken Halo, beef broth, herbs and seasonings. Cover and simmer for 90 minutes. Add vegetables and continue cooking 30 to 45 minutes, until vegetables are tender. Taste and add salt if needed. In a small bowl, mix the flour and water until smooth; stir into stew until hot and thickened. 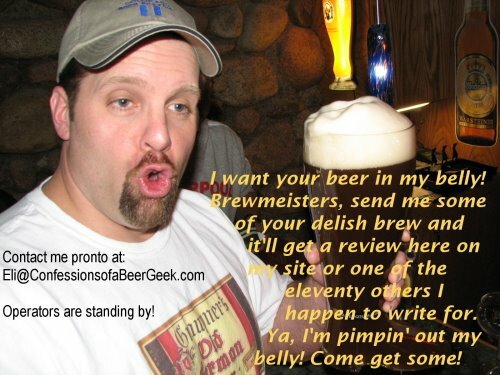 Say you want to become as edumacated as The Beer Geek. Just sayin'... ya never know! 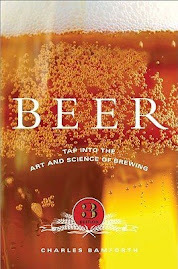 The best place I've found to get some good old fashion book learnin' about all things beer - BeerBooks.com Check 'em out! This too is an unpaid endorsement. Eli is a writer. It's what he is as much as what he does. 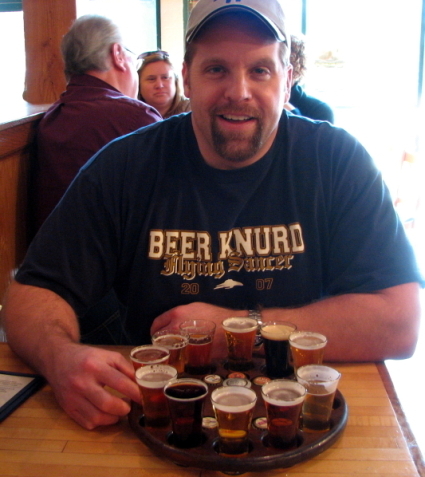 He loves cheese - and beer - in all its various forms. Eli has written extensively for the Rocky Mountain Brewing News, Honest Cooking, Examiner, and is the author of Confessions of a Beer Geek. Yes, I'm mad... about beer! What is this? It's a ClustrMap. This bad boy keeps track of where in the world visitors are coming from. Don't worry, I can't see your IP address or any other computer details, just where you're visiting from - geographically speaking. Feel like dropping a few coins in the confessional? Russian River Sampler... hmmm, hmmm, gooooood!